Style is an option but clean is not, keeping this in mind JMIANS organised cleanliness drive on 3, August. 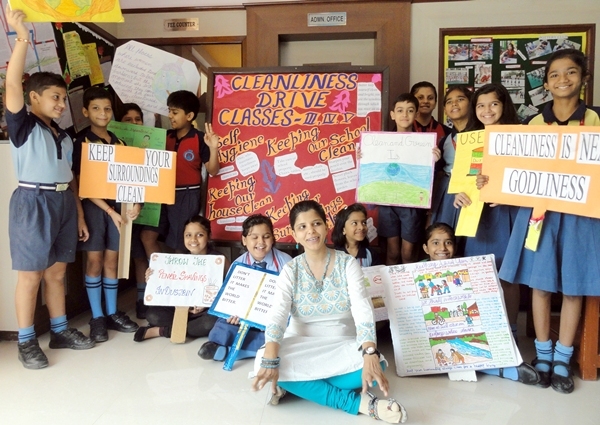 The students of classes 3,4,5 showed remarkable enthusiasm towards spreading awareness about cleanliness at all levels .Children holding placards in their hands ,went to all the classes tried to educate and motivate students about self hygiene, clean classrooms and surroundings. The entire school came together for the cause of cleanliness and took a pledge to take this drive as an integral part of their lives for a cleaner tomorrow. सलमान खान. अक्षय कुमार से नाराज हो सकते हैं अजय देवगन! Notoriety of Khap Panchayats !